With 30+ years of experience in the employer based health and wellness industry, Charlie Estey, Health Solution's new president, is poised to take the nationally known company to the next level of client service and innovation. Health Solutions announced today that Charlie Estey has been appointed and promoted to President, effective immediately. Kevin Clair, former President, remains with the company in a new role of Senior Advisor to the President. 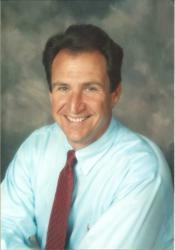 Estey joined Health Solutions in 1996, and most recently was Senior Vice President. He has 30 years of experience in the employee health and wellness industry. Charlie Estey reports “I am excited and honored to take on the leadership of Health Solutions. We have 20 plus years of improving employee health, serving our clients well, and delivering results. Our terrific team of senior leaders and employees are passionate about doing whatever is needed to serve our clients well. We are also committed to growing our business and developing cutting edge programs and technology in the coming months and years which will create many more opportunities for advancement for our valued employees”. Health Solutions also announces the following promotions of senior leaders, effective immediately: Carrie Greene, Executive Vice President of Client Relations and Account Management; Dave West, Senior Vice President, Health Screening Services, and Jim Narum, Vice President, National Business Development. These senior leaders bring 75+ years of industry experience to Health Solutions, making the combined management team one of the most experienced in the field. Health Solutions, http://www.healthsolutions.com, is a national leader in employer-based health and wellness programs serving over 400 customers that provides a single-source solution for employers and health plans. Founded in 1991, Health Solutions is a pioneer in biometric screening and health coaching services, and also provides award-winning fitness and wellness program management, wellness seminars/webinars, incentive administration, health challenges, and a wide range of integrated wellness and disease prevention programs, including its innovative onsite metabolic syndrome program. Health Solutions specializes in the delivery of its services onsite and has also had a number of its client programs evaluated by Third Party Evaluators to document the impact on health status, health risk migration, health care cost, short-term disability and absenteeism. Contact: For more information, please contact Jim Narum at Health Solutions [800-711-8656 or direct at 651-253-1954, or via email: jnarum(at)healthsolutions(dot)com].